Battle Creek Health System joined the Bronson Healthcare system and began serving Calhoun County as Bronson Battle Creek in 2011. Since then, they’ve raised the bar on quality and are currently recognized among the top five percent of hospitals in the nation for patient safety. They’ve expanded key services and invested more than $60 million in new technology, equipment and facilities. Bronson has also increased the number of employees and physicians serving our community, becoming the preferred health system in the area. The positive momentum they are experiencing today at Bronson Battle Creek is buoyed by their belief that the best is yet to come. 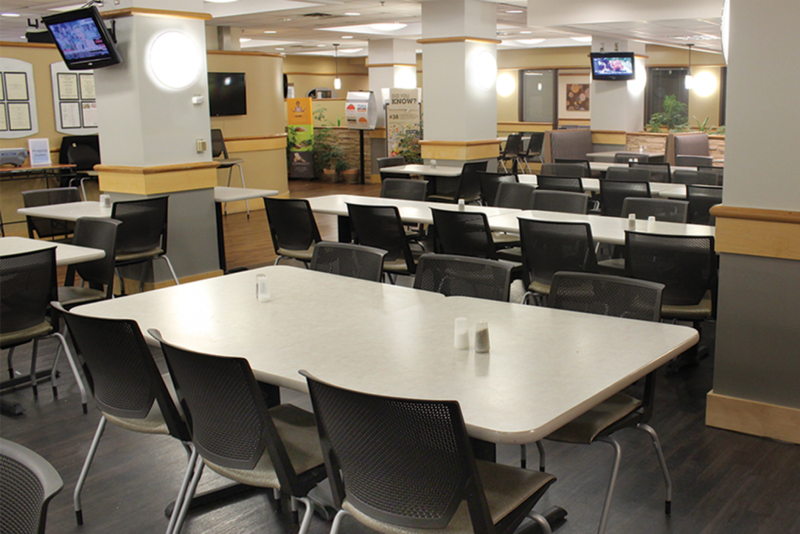 Objective: To update and refresh The Café, a bustling hub for hospital staff and visitors. 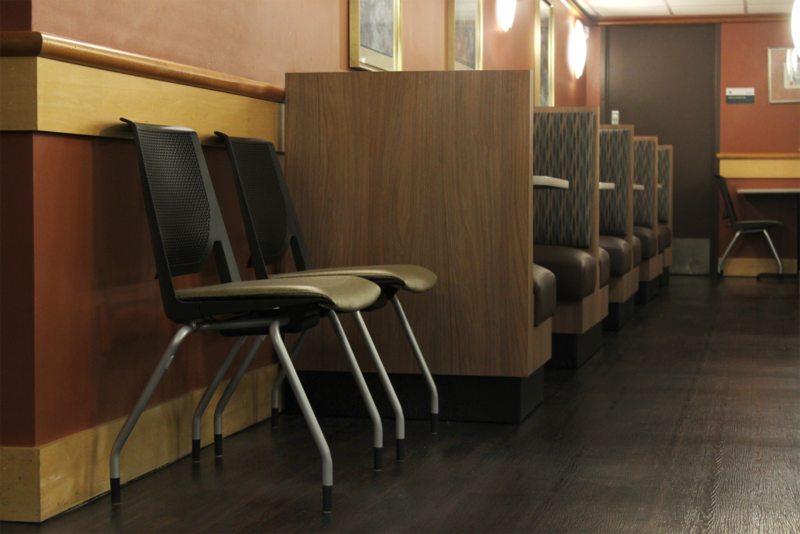 Keeping older components while blending them with new furniture and finishes in both the dining and food service areas was a main focus. 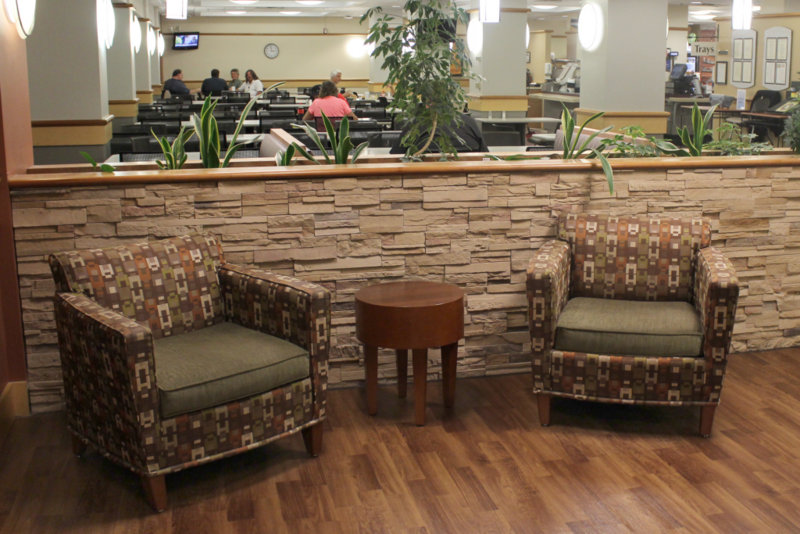 The ceramic tile flooring needed to remain, so integrating the existing color into the new design was a challenge. Staying within budget was also an important objective. 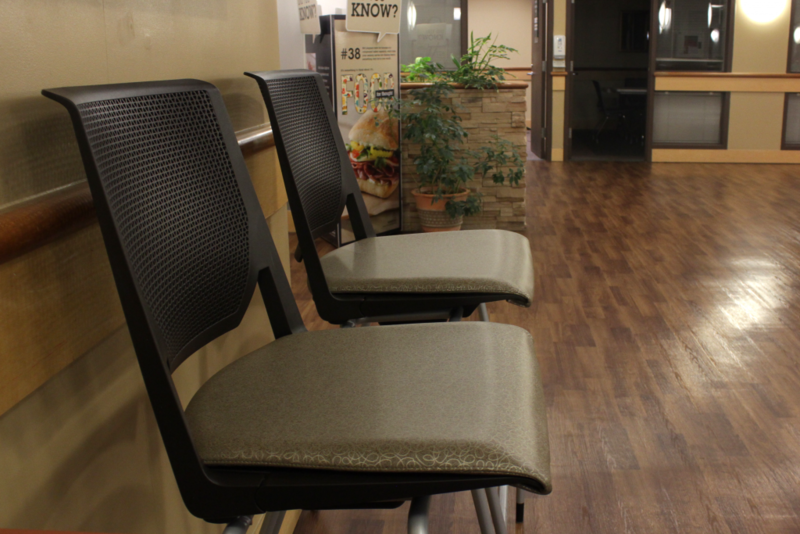 Outcome: Booth seating was added to the space for more casual and comfortable dining. 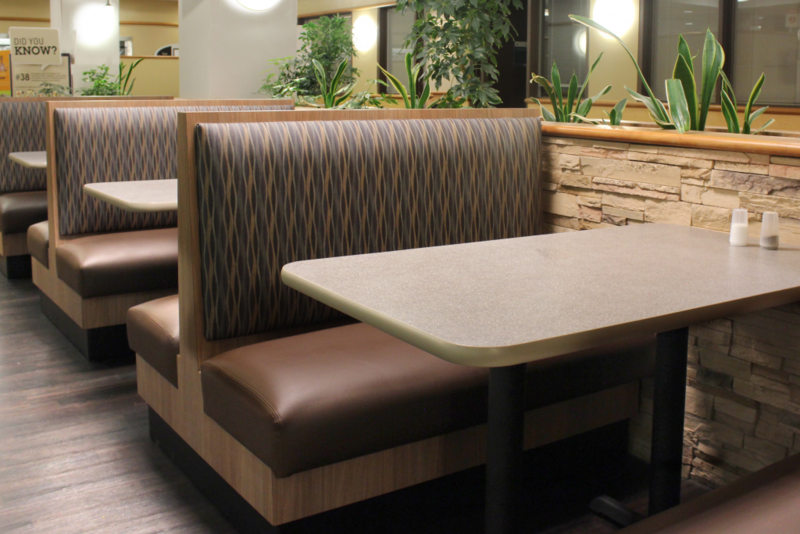 New upholstery finishes in the booths, chairs and stools add freshness to the Café. 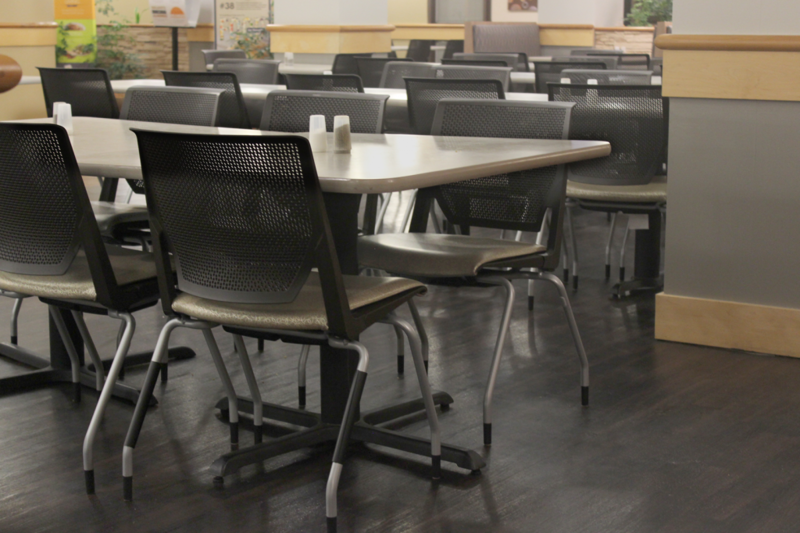 Falcon tables and Haworth chairs and stools were selected and positioned to make best use of the designer’s floor plan. 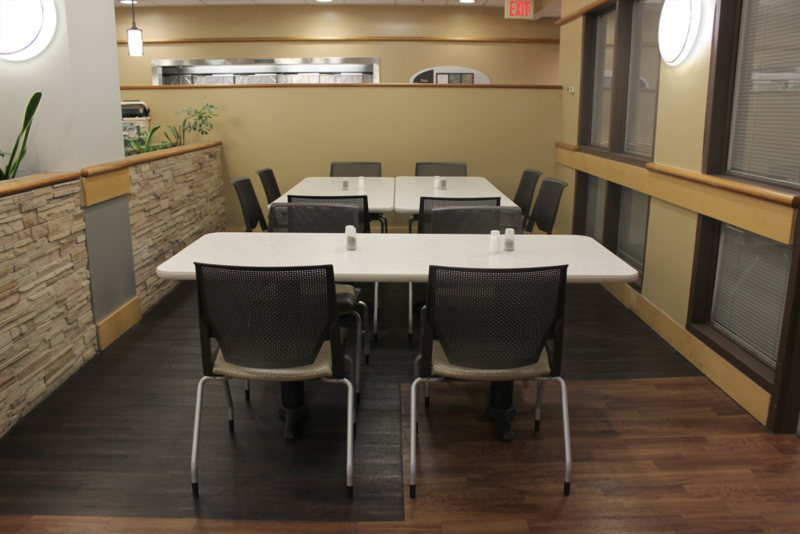 Countertop surfaces and fronts were replaced throughout the kitchen areas and specially crafted overhead signage compliments the serving stations. 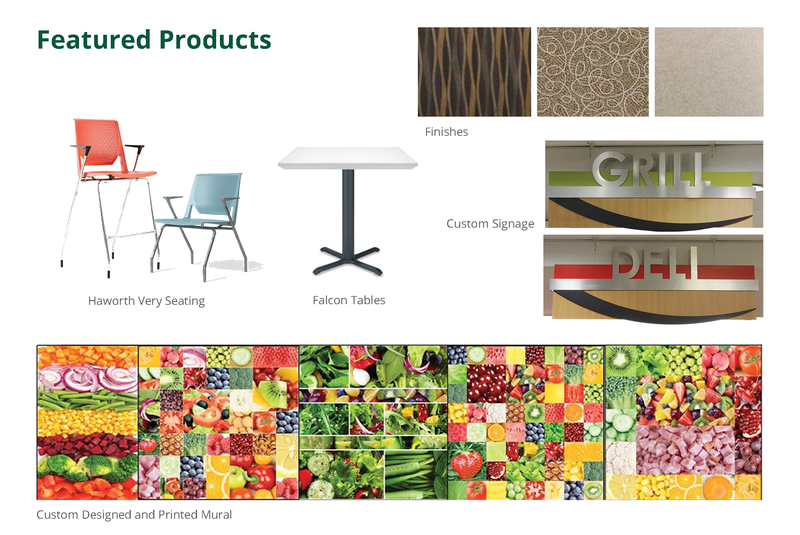 A visual highlight is a custom-designed photo mural over the salad bar, incorporated to increase awareness of healthy food options. It was wonderful to see the staff admiring the changes, and to see how pleased everyone was with the new materials and touches.